Marcelle Nankervis is a Horticulturist who has worked in the Horticultural Media for over 16 years. She is passionate about Permaculture, Sustainability and Gardening for the Future. Marcelle regularly writes for Your Garden magazine and Better Homes and Gardens. 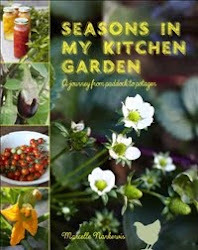 Her first book was Plants for Australian Dry Gardens (Murdoch Books). 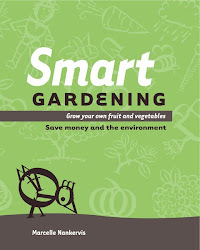 Marcelle's second is Smart Gardening (Exisle Publishing). As a horticultural writer I often come across people, stories, tips, tricks and real gems of information that never really make their way out of my notebook. I am hoping to share a few of these insights here as well as my own gardening experiences, which includes getting my children excited about plants. I believe that a strong connection with the garden and our landscape when we are young is vital. I am hoping that educating my children in "Green Living" and "Smart Gardening" will provide them with the fundamental building blocks necessary for them to live long and healthy lives, while also doing their bit in helping to create a sustainable and green future for all. 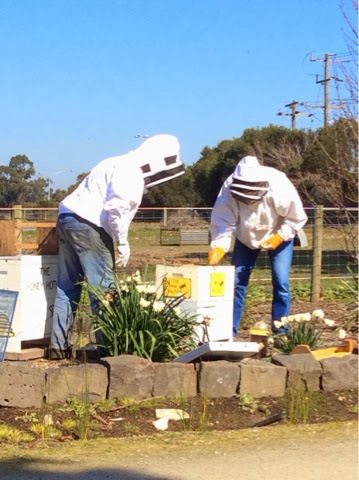 Today is an exciting day ... Hive maintenance! 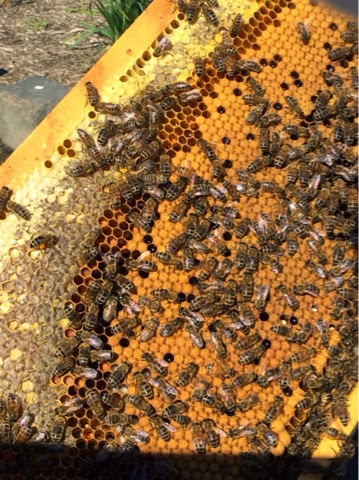 The end of winter marks the time to check hives and prepare them for spring and mass honey production. Thanks for your help today Vince! The Hive Hilton appreciates your expertise. A qualified horticulturist, Marcelle Nankervis graduated from VCAH Burnley in 1993/1994 and has worked in the horticultural media ever since. Working in print and TV, Marcelle has a long standing association with Your Garden,Better Homes and Gardens and Gardening Australia. Pigs may not fly, but they build nests! My Garden Interior Design - Home and Gardening How To's.